The Mandarin Oriental is a truly remarkable hotel; timeless yet contemporary, classic yet cutting-edge, this is the ultimate Bangkok address. 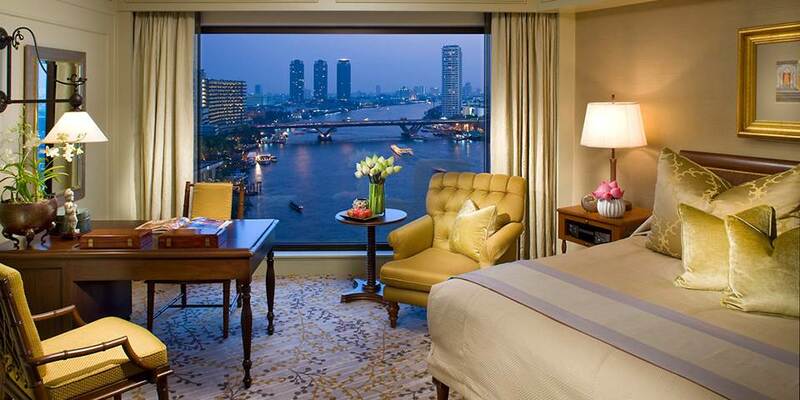 Excellently situated within easy reach of all Bangkok’s main attractions and just 45 minutes from the airport, Mandarin Oriental is an iconic hotel which has been sitting serenely on the banks of the Chao Phraya River for over 135 years. A sophisticated, relaxed retreat in one of the world’s most exciting cities, it enjoys a reputation for style, service and excellence. 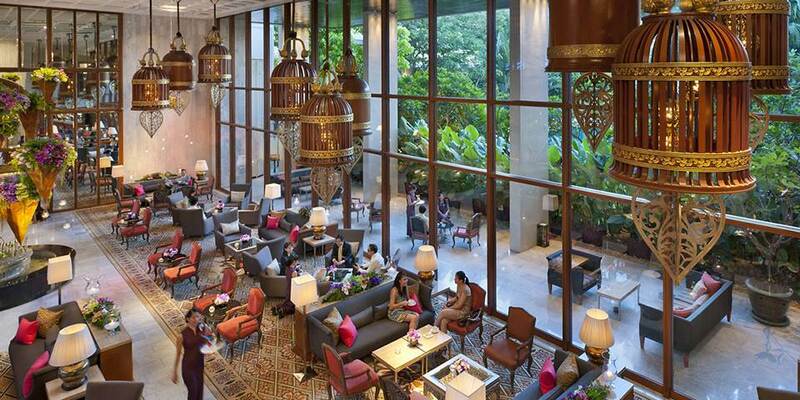 Home to nine outstanding restaurants and bars the hotel is one of the city’s premier gourmet destinations. 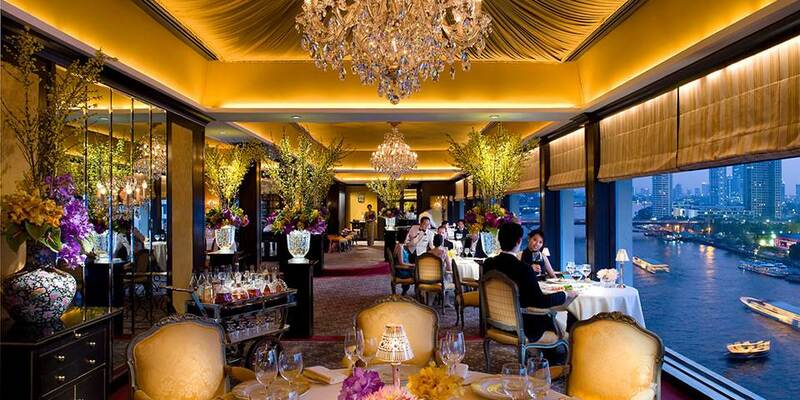 With its elegant feel and stunning river views, Le Normandie, one of the best loved French restaurants in Asia, offers a delicious fine dining menu and exceptional wine cellar. Named after the seafaring hero created by novelist Joseph Conrad, Lord Jim’s serves sumptuous seafood with uninterrupted views of the river. 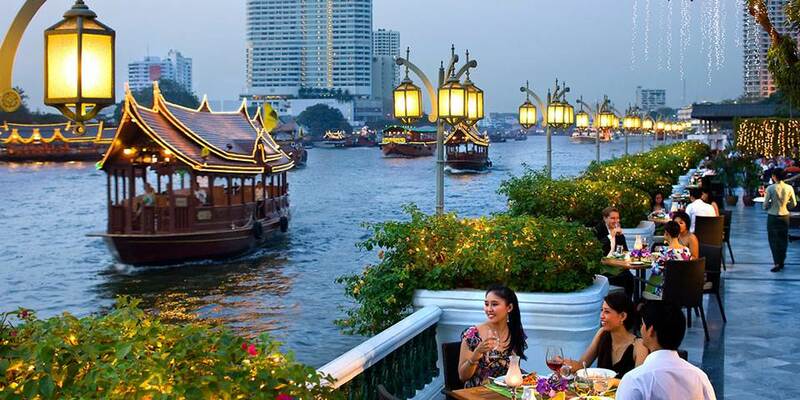 Across the river is Sala Rim Naam which offer a delicious choice of Thai dishes, it is also the setting for the Classical Thai dance show, held every evening. The Art Deco inspired China House, housed in a beautifully restored colonial building, is a stunning Cantonese fine dining restaurant, with authentic dishes interpreted in a contemporary style. Enjoying a picturesque riverside setting, Ciao’s the brand new Italian restaurant, serves classic Italian cuisine with a contemporary twist from an a la carte menu of Italian classics and imaginative dishes. Featuring a wide variety of Asian and Western dishes, The Verandah elevates all-day dining to a new level with an a la carte menu serving fabulous dishes for any time of the day. Enjoying an idyllic setting on the banks of the Chao Phraya River, The Riverside Terrace offers guests alfresco breakfast and dinner with a beautiful view. 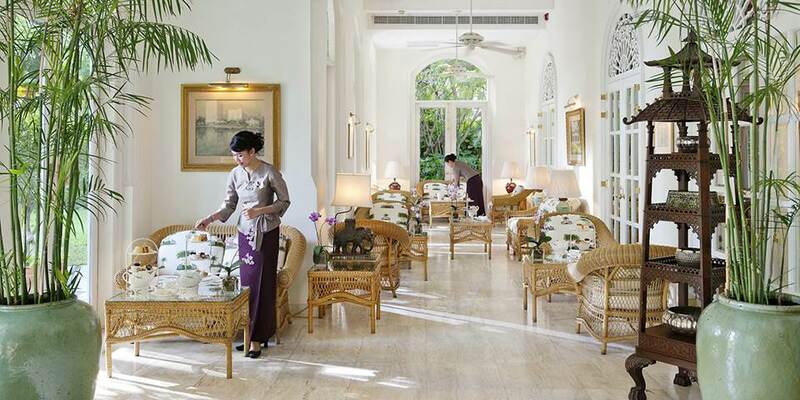 A delicious and varied international buffet is accompanied by a live band every night .The Authors’ lounge serves traditional afternoon tea in a charming colonial setting, while the Bamboo Bar is the place for late night jazz and cocktails. A stay at Mandarin Oriental Bangkok would not be complete without experiencing the Spa, regularly voted as one of the best in the world. The quest for good health through meditation, massage and use of natural herbal remedies is an ancient tradition in Thailand. Experience this tradition, handed down through countless generations, in the restored century-old teak house of The Oriental Spa. The 358 rooms and 35 suites combine elegant Thai style with seductive modern touches, all have private butler service and most enjoy views of the fascinating and ever changing Chao Phraya River. Superior and Deluxe rooms are located in the River Wing as are Mandarin and State rooms which are more spacious and have the added benefit of windows opening to a balcony with views over the river or city. Premier rooms are to be found in the Garden Wing and elements of the hotel’s long and illustrious history can still be seen in these beautiful colonial-style rooms. The beautifully appointed suites are located in various parts of the hotel. One and two bedroom suites offer luxurious accommodation but for a really special stay the themed suites should not be missed. The Authors’ suites, located in the River Wing are a tribute to and are named after some of the great literary figures who have stayed at the hotel. In the original Authors’ wing, three magnificent suites are named after Somerset Maugham, Noel Coward and James Michener with each reflecting the character of the author’s personality. The top floor of the River Wing is home to the most exclusive suites in the hotel; The Selandia Presidential Suite is beautifully decorated in hues of pale ivory, hazy blues and rich scarlet and is furnished throughout with silk draperies. Inspired by the beauty of Northern Thailand the Siam Suite is furnished with antiques from Chiang Mai, Persian carpets and a varied art collection. The ultimate in elegance is the Royal Oriental Suite with a timeless interior that harks back to bygone days, it has played host to Kings, Queens and Heads of State.